Participants will learn how to navigate in the Primavera tool, create a project, add activities and relationships, assign resources, adjust the project plan to account for schedule delays and over-allocated resources, and analyze portfolios. This course targets Project Managers, End-users, Civil, Electrical and Mechanical Engineering Students, Functional Implementers, Project Control Managers, Project Control Engineers, Planning and Scheduling Engineers, Business Analysts, Quantity Surveyors and others interested in managing projects successfully or willing to contribute to project success. Participants will learn how to utilize the Primavera tool, for doing advanced functions in Project Management like Resource leveling, Future bucket planning, Scheduling options, Global change, Thresholds, Tracking and analyze portfolios. This course targets Project Managers, End-users, Functional Implementers, Project Control Managers, Resource Managers, Business Analysts, and others interested in managing projects successfully or willing to contribute to project success. The course covers topics on how to do project management using MSP with 4 stages covered namely, planning without resources and with resources, monitoring and controlling the project without resources and with resources. Technical students belonging to Civil Engineering, mechanical engineering, electrical engineering, project Engineers, Project Managers, Project Control, and Resource Managers. The course is a workshop oriented training with emphasis on hand on training on Risk Management and its nuances and how to perform the same using Primavera Risk Analysis tool. Risk Managers, Project Managers, Project Controls, Business Analyst and those interested in analyzing the different scenarios of the project and its success. The course will help you kick start your preparations for the PMP certification exams. Professionals who intend to appear for PMP certification from PMI and those interested to learn more about project management and the processes. Learn the knowledge areas in Project Management and the process groups and processes. You gain 36 PDUs on completion of the course. This course will help you in learning how to do quantity take off from 2D drawings and 3D models and how to use those quantities in cost estimation using CostX tool. 2. 3D BIM take off using CostX. 3. Cost estimation using CostX. The course will help Engineers do their 2D, 3D take off and cost estimation in a systematic manner and reduce the time they spend on changes and revisions both at the drawing level and also at the costing level. Quantity survey engineers, cost engineers, Site engineers, Cost consultants, Engineering Consultants. Engineers and Consultants will be using CostX to do their Quantity take off from 2D and 3D models and combine that with the costing factor to start delivering BIM Solutions to their organisations. Training files for rate library. 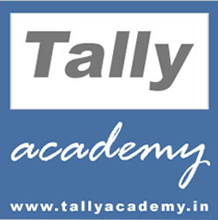 Tally.ERP 9 is the world’s fastest, affordable and highly reliable ERP solution. Tally.ERP 9 is easy to buy, quick to install, simple to learn and is designed to meet the needs of small, medium and large businesses. It provides an integrated business solution involving Sales, Finance, Purchase, Inventory, Manufacturing, Excise and Payroll besides tremendous reporting, data synchronization, remote capabilities and so on.